If you live in or around the Burlington area in the state of Vermont and you are getting older, there are many resources available to help you to cope with the issues associated with aging. Whether you are concerned about elder abuse, worried about maintaining social connections during retirement or struggling to cope with health issues and losing your independence, there are supports and services available in the Burlington area that you can take advantage of. Unfortunately, many people who are getting older in Vermont are unaware of all of the different programs, services and supports that could help them to stay healthy, enhance their quality of life and otherwise thrive during their golden years. Our legal team can provide you with help in understanding how to take advantage of benefits and services, including those offered through government programs such as Medicaid. We can also provide you with elder law services so you can protect your financial future and plan your legacy. 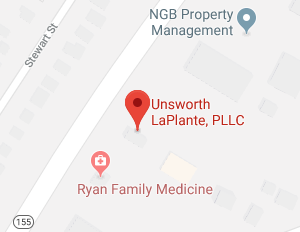 If you or a loved one needs help with any of the issues affecting seniors as they age, Unsworth LaPlante, PLLC is here to provide the assistance and advice you have been looking for. Our Burlington elder law attorneys are compassionate, caring and knowledgeable. We know the law and we know how to provide the types of help that seniors value and need. Give us a call to find out more about the ways in which our legal team can help you or feel free to browse below where we have compiled many resources available for seniors in and around Burlington, Vermont. Adult protective services: Adult protective services is a division of the Vermont Department of Disabilities, Aging and Independent Living. You can find out more information about adult protective services at the Protection section of the Division of Licensing and Protection. The Office of Public Guardian: If a private guardian is not willing and able to act on behalf of a person who is incapacitated and cannot act on his own, a public guardian can be appointed. You can find out more by visiting the Office of Public Guardian. This Office also provides details on what guardianship is, what the alternatives to guardianship are, and how a private guardian can fulfill his or her obligations. The Vermont Ethics Network: The Vermont Ethics Network has information on advance directives for healthcare as well as details on palliative care and pain management. You can learn about advanced care planning and access advanced directive forms you can use to express your wishes so your family isn’t forced to make difficult decisions on your behalf with no guidance if you get badly sick or hurt. The Funeral Consumers Alliance of Vermont: If you wish to pre-plan and pre-pay for final arrangements, you can find the information you need at the website of the Funeral Consumers Alliance of Vermont. This is one of 100 societies that help people to understand their options and make end-of-life decisions that are right for them. The Hospice and Palliative Care Council of Vermont: Hospice can be a peaceful alternative for terminally ill patients and their families. The Hospice and Palliative Care Council of Vermont can help you to learn about how hospice care works and how caregivers and patients can be supported. The Visiting Nurse Association and Hospice of Vermont and New Hampshire: On this site, you can get a referral and learn about services that visiting nurses and caregivers can provide. US News & World Report: US News & World Report has a listing of top nursing home facilities within the state of Vermont. You can search a specific location and find nursing facilities within a designated radius of that location. You can also narrow your search down by star rating, home size, and options like whether or not the nursing home accepts Medicaid and Medicare or is a continuing care facility. 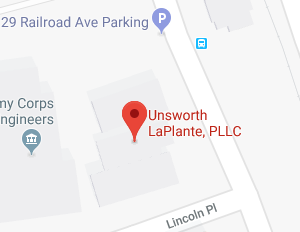 If you need help with elder law, legacy planning, incapacity planning, or obtaining benefits, your best option is to talk with a Burlington elder law attorney at Unsworth LaPlante, PLLC. Our firm is a trusted firm that has provided elder law services to many older people throughout Vermont. We know how stressful it can be to think ahead about incapacity, illness and passing away- but it is very important to address the issues that will arise as you get older and reach the end of your life. We make the process easy by working with you to define your goals and ensure you use the right legal tools to accomplish them. To find out more about the personalized help Unsworth LaPlante, PLLC provides to seniors as they make their plans for the future and take advantage of local services, join us for a free seminar. You can also give us a call at (802) 879-7133 or contact us online to talk with a member of our legal team about how we can get started helping you today.